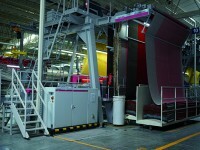 Most of Boyteks’ 300-plus weaving machines are equipped with Jacquard machines, and most of these are from Stäubli. Thus Boyteks is also one of the biggest Jacquard weavers in Turkey, and has become an important and trend-setting partner of Stäubli. After months of architectural project planning and intense working at the construction site, Stäubli celebrated the official opening of its new facilities situated on the Eastern side of Istanbul – in Tuzla. The success story of Stäubli in Turkey started in the 60s with a renowned agent in order to introduce the extensive range of textile machinery in the promising Turkish market. Decades later, in 1995 it was decided to found Stäubli Turkey to fulfill a clear mission: serve the Turkish market even more intensively and extend step by step the Stäubli organization. Mr. M. Sinangil, as the first employee, moved into the rented headquarters in Istanbul at that time. He is still running the Stäubli organization successfully today. 2016 marks another historical cornerstone of the Stäubli history in Turkey – its 20 years of existence! During this build up of the group the Textile, Connector and Robotic activities came to fruition. All activities gained substantial market shares in their respective fields of business. Stäubli Turkey is now employing some 60 people. Turkey is today, more than ever, the arch to Europe and has ambitious goals in terms of increasing its export statistics and expanding the local production and service industries to serve European – but also international customers. 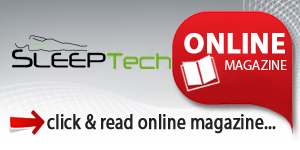 This offers great prospects to visionary mechatronics solution providers like Stäubli. In order to succeed, the local Stäubli team will be more than ever supported by the international Group to capture the chances offered by this market. Meanwhile all Turkish salesmen, administrative people and technicians on-site continue to maintain their common aim that is to satisfy all Stäubli customers throughout the country. 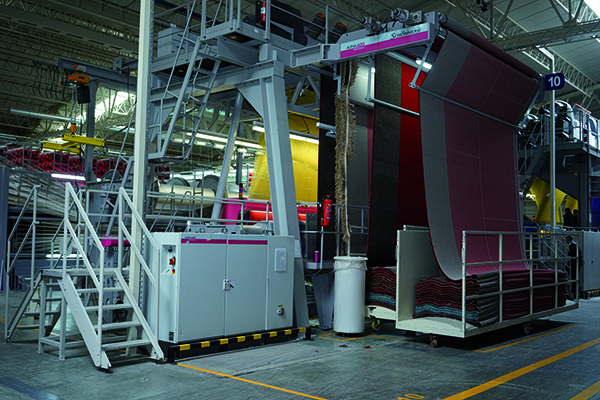 Most of Boyteks’ 300-plus weaving machines are equipped with Jacquard machines, and most of these are from Stäubli. 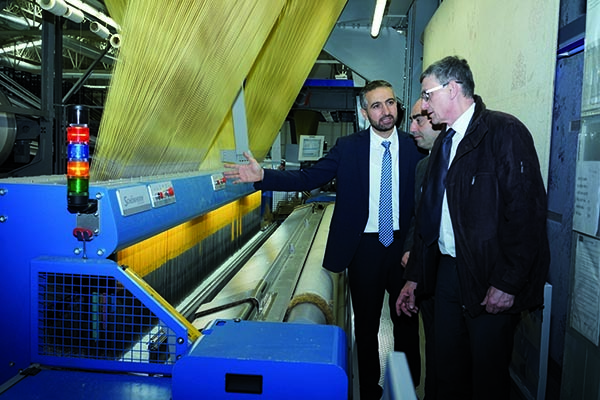 Thus Boyteks is also one of the biggest Jacquard weavers in Turkey, and has become an important and trend-setting partner of Stäubli. 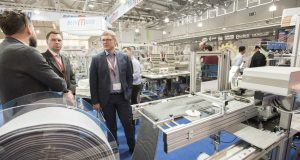 According to General Manager Mustafa Yildirim, Stäubli Jacquard machines boast excellent ergonomic and robust design, they are easy to maintain, and they have a strong harness that perfectly matches the high performance of the machine. Mr Yildirim is also impressed with the quality of service provided by the Stäubli after-sales team. “We have experienced this quality now for more than 16 years. Whenever we have had a problem or needed support, we knew that we can trust in the machinery supplier and that capable technicians would show up in our facilities to provide solutions. That’s why we have confidence in Stäubli”, says Mr. Yildirim. 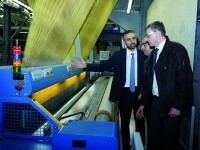 Mustafa Yildirim points out that Boyteks is known as a highly innovative carpet supplier. Customers expect and insist on getting the latest and most innovative products when they buy from Boyteks. Sometimes customers even ask for exclusivity with certain products, and this will be granted depending on the quantity ordered. 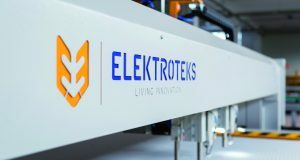 One-way that Boyteks maintains its innovation leadership is by using a special feature of the ALPHA systems: special effects for carpet weaving. With the “Magic Weft Effect” different weft threads of each weft insertion line remain visible along the pick line, making possible innovative design variations with multiple colors.